The thrill of zooming up to the venue in a glass lift sets the mood for a proper night out. If the weather is cooperating, try to secure an al fresco spot for a balmy breeze and an uninterrupted city view. Start with the grilled Cebuano goat cheese on a bed of baby spinach and cranberry jus, then move onto the selection of seafood and steaks. The steaks are straightforward—all Angus ranging from 200 to 400 grams. There’s also a tomahawk choice for sharing; however, the porterhouse feeds two to four. Don’t hesitate to ask for extra soft pretzel rolls in between courses. Warm, chewy, and slightly salty, these are a great accompaniment to soak up the juices from the grill. 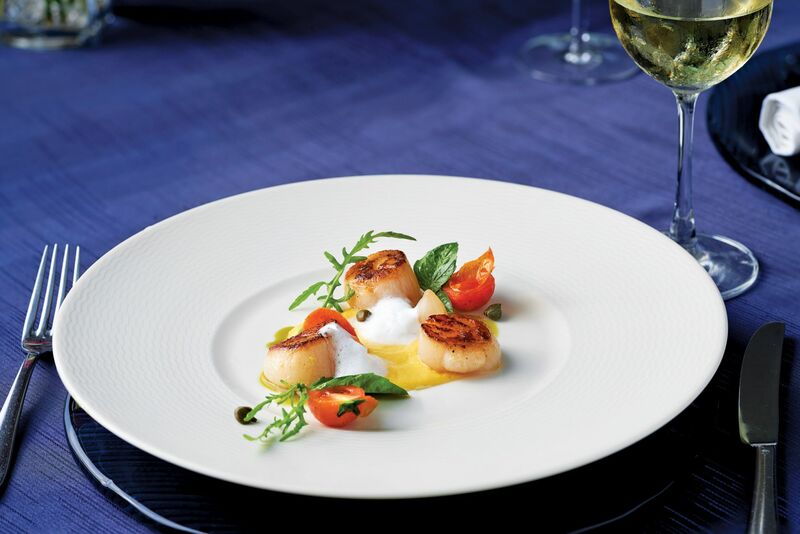 Pan-seared scallops are a speciality, but make sure to ask for the catch of the day. If one can’t decide, there’s always the Land & Sea combo skillet that includes tiger prawns, salmon, chicken, and tenderloin steak.